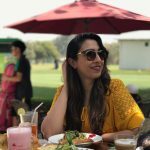 The thing with holding an Indian Passport is that we can’t explore many cities for as long as we’d like to. South Africa; for instance, only gives us a 10 days visit visa. And I promise you it’s just not enough! Thankfully I was only covering Capetown and thanks to a well-travelled friend, I was able to squeeze a lot of action and yet experience a lot without being rushed. 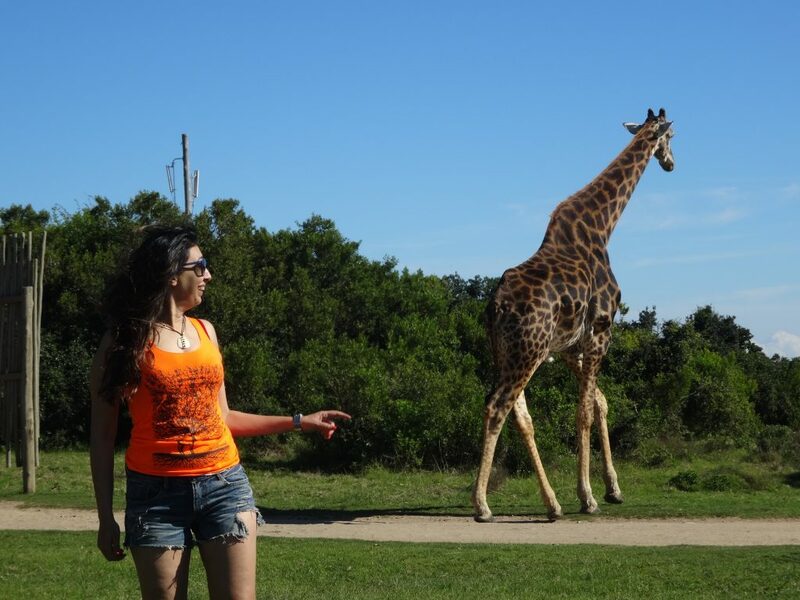 Here are my tips for the 5 Must Hit Spots to make the best of your 10 days in South Africa besides the usually popular spots and my stories to give you a 100 other reasons to want to go to Capetown. 1. Robben Island: A 40 minutes boat ride from Capetown, this is where Nelson Mandela was held a political prisoner for 18 years and also wrote his book Long Walk to Freedom. Political Prisoners used to be arrested without any trials during Apartheid. So this place essentially had most inmates who were possibly innocent and left here to live in a small room with a bucket for toilet. Here is the truly amazing part about this prison; most prisoners spent decades here; so when Robben Island was declared a World Heritage Site, who better to be used as Guides? Yes, the prisoners here had no way of adjusting to the mainland after so many years of isolation. The land they would have dreamt for when they would be freed was no longer anything they could adjust to. So they came back to Robben Island as Guides. So now you actually hear the tales of what really went on in the Robben Island Prisons from the horse’s mouth. 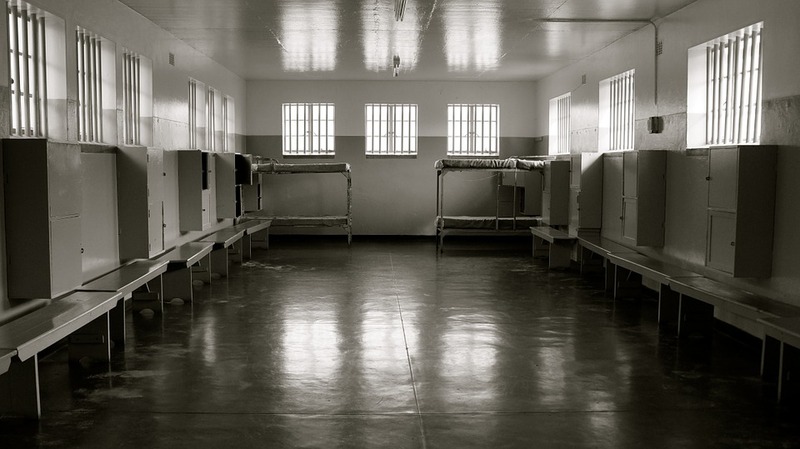 Here’s my favorite part… The ex-inmates and the prison guards now all live in the same accommodation block on the Robben Island. 2. Garden Route: This is and should be on every travelers list. One of the most picturesque drives from Capetown to in the world with the Ocean on one side and mother nature showing off all her colors on the other. The entire route is full of choices of the most pristine beaches, lagoons and lakes, hills, mountains, pure white wind mills and fantastic hotels and lodges. I recall being lost for hours just making sure I would remember every little detail of everything I saw; every color of the ocean, the sands, the tress, the sounds of the seas and wind, how clean the air was, the blue skies, the sunrise and the sunsets… you get the point right? I had made a pit stop at Plettenberg Bay for a night and stayed at a quaint shack by the sea. A cute comfy cottage overlooking the sea. The best moment was at night.. I wasn’t sure what I was looking at but was mesmerized. The sea waves were glowing.. Yes.. like neon glowing! It was one of the trippiest sites I had ever seen and I do pray you experience the miracle of science in your life. 3. 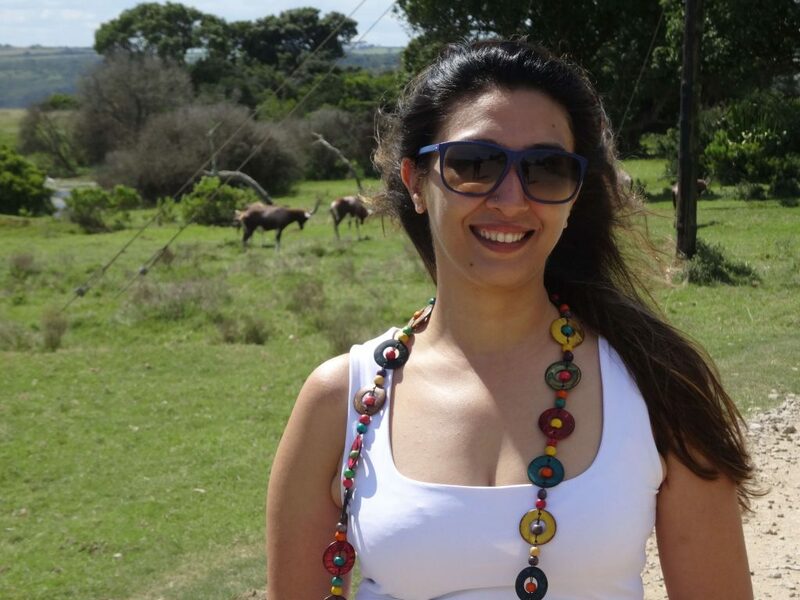 Game Reserve: Of course you have to spend a few days at a Game Reserve!! You are in Africa! 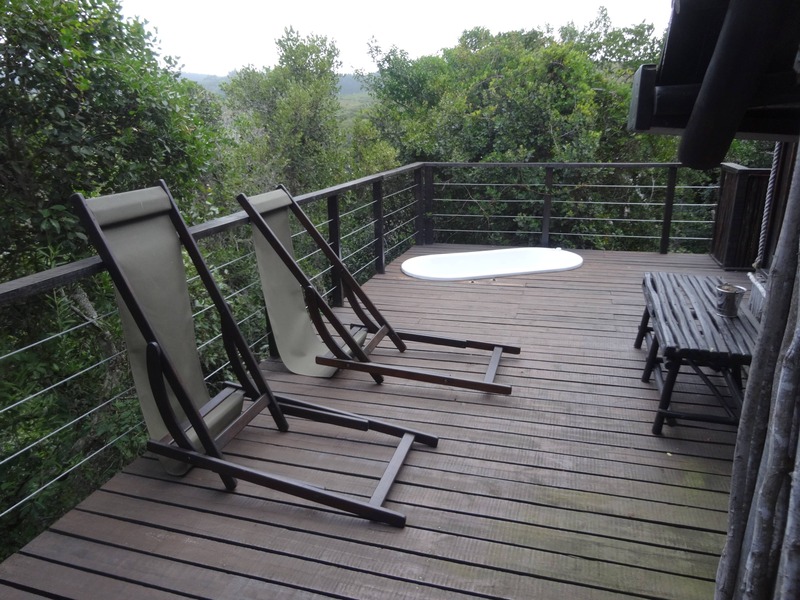 I chose the Kariega Game Reserve which is perfectly luxurious with log chalets and set right in the middle of the reserve offering the most unbelievable sites and a small bath tub outside in the wild! 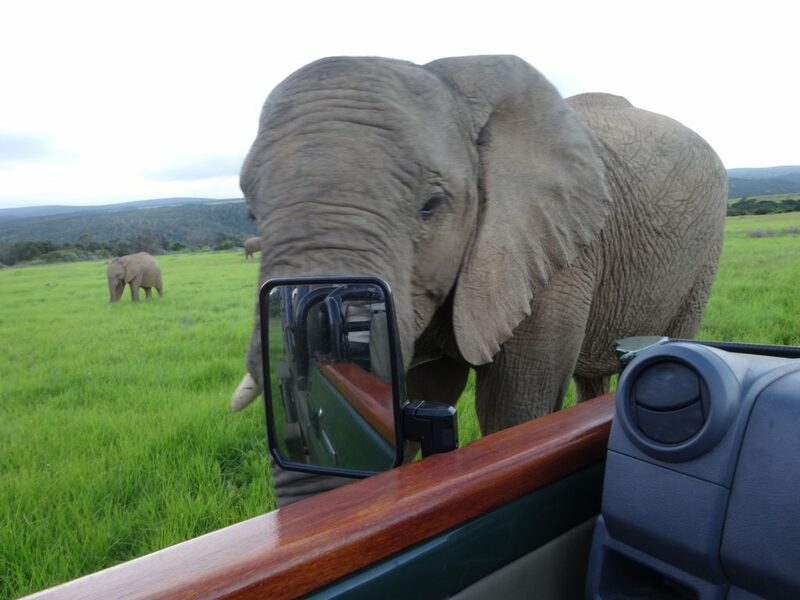 They have safaris every morning and evening and the guides ensure you get the chance to see the big five. The Big Five are Lion, Elephant, Rhino, Buffalo and Leopard. They also do this surreal and serene river cruise, which is almost like a huge plank (almost square) of a boat to show the variety of birds that inhabit the place. My first sighting was that of an elephant, a young male, not fully grown but with bursting testosterone. We all giggled and in that instance I did not realise that I wasn’t seeing just an elephant like I did in India, these were the African elephants; and just as our safari vehicle took a turn around the bushes, I witnessed a sight so pure, so prefect that I remember my eyes had welled up. The sun was setting and a whole herd of African Elephants was in front of me. Some 25-30 of them of all ages and sizes. 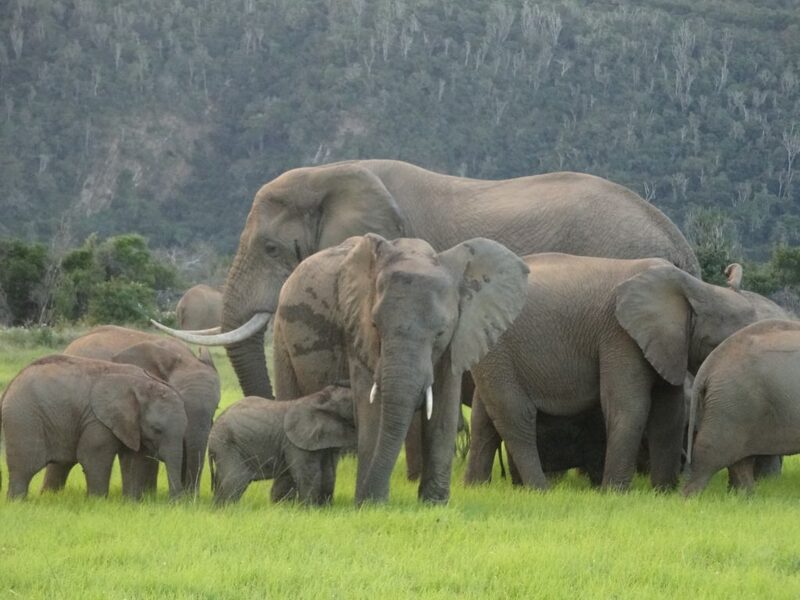 It’s one thing to have seen tamed elephants but to see them in their home and with their family was just…. Moving. The cutest playful calves approached our vehicle and soon were wrestling each other till big momma came and really.. like really spanked one of em away from the other. 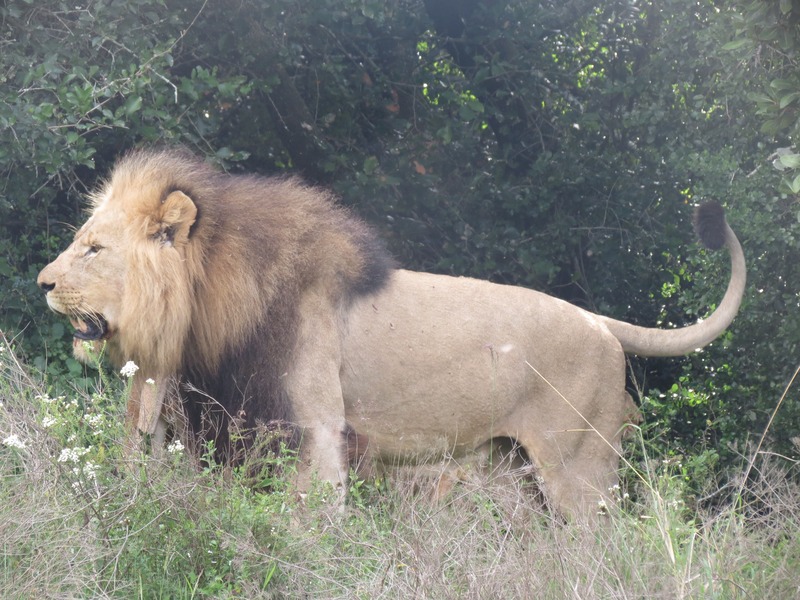 I had religiously gone on every safari visit and seen all but one of the big five. I hadn’t seen the African Lion. I knew I wanted to but also knew I wanted to see them from a very far… safe distance. I didn’t care about the quality of my picture with the zoom but again… from a very far… safe distance. So this was my absolutely last morning safari and we had been driving for hours looking for the lions. My ranger wasn’t a quitter but the sun had begun to hit our heads pretty hard, and we were on one of the hilly slopes on a very very narrow dirt road. He stopped to show us a Kudu on the other hill; a species of antelopes and also what we had had for dinner the previous night. We all were busy clicking away and zooming in and out, when my ranger started driving in reverse. It was a narrow dirt road so we all wondered why he was doing so but saw the obvious.. another one of the safari vehicles was heading towards us, so we obviously had to back down right? Wrong! What I didn’t notice was that a line of lions was walking towards us and hence all vehicles had PAUSED. Notice her cut on the leg? You read it.. A lioness mommy was walking towards us with her three cubs. I knew right that instant why the lions are called the King of the jungle. Their walk buddy! They own the land they walk on! 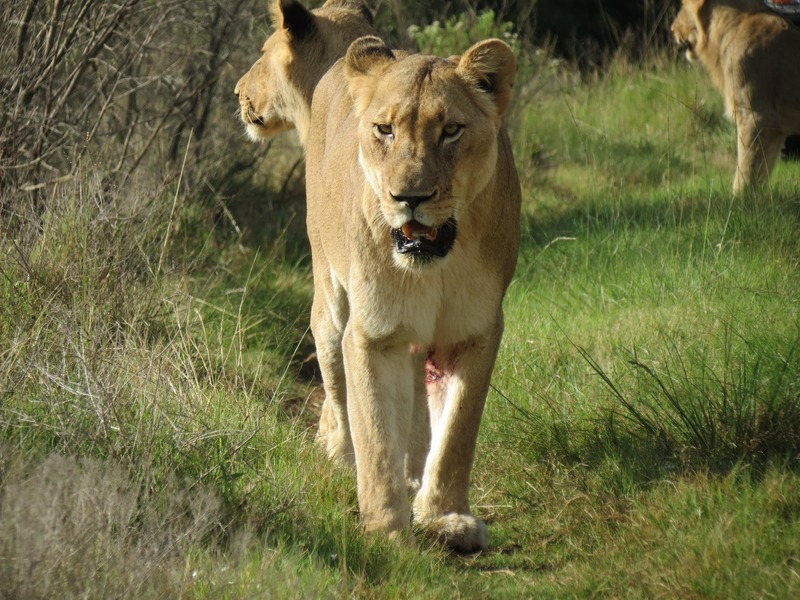 As she got closer and I died a little, the ranger noticed the gash on her leg and figured she was coming from a hunt. We all immediately noticed the blood on her leg and then her mouth. 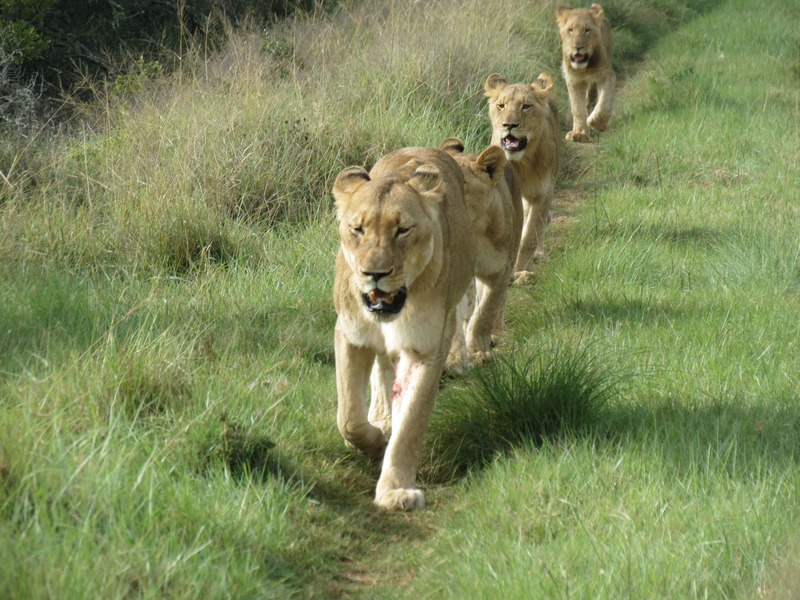 Her three cubs walked in total discipline right behind her in a single file. I swear when she walked passed me and we exchanged eye contact for the slightest of a second… everything inside me had FROZEN in shock, horror and awe all at the same time. Once she passed us and I exhaled; the ranger very casually looked around wondering where she was heading after the hunt.. why did the cubs not have blood on their mouths… and just like that as he turned; he spoke very slowly. “Everyone, no sudden movements, and do not get up, the Lion is behind us” Pardon my French but WTF moment! As he steered the vehicle into reverse and was turning us around, there he was… on a small rock with all his glory and mane. The African Lion! The king of the jungle with his entire pride. We drove up closer to them and there it was.. the hunt! 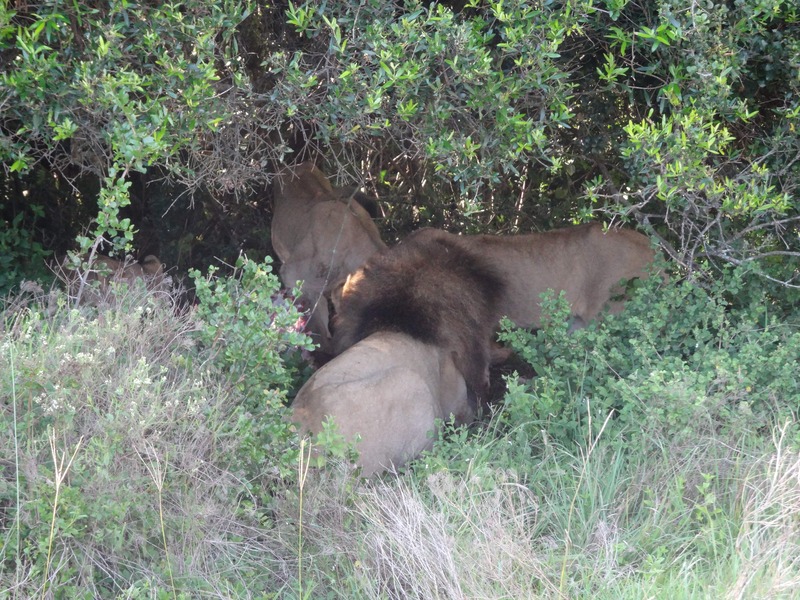 The lionesses had caught a Kudu, and the entire pride of the lion, three lionesses and three cubs were devouring their meal right in front of my eyes. You could smell blood in the air and hear each bones being torn apart. There’s absolutely no point describing what I was feeling, I know you know! So ya; add a game reserve to your to do list in South Africa! 4. A Tree House: Ok I know these can be a bit expensive, but Oh my God they are an absolute must if you are in Africa. A must!! 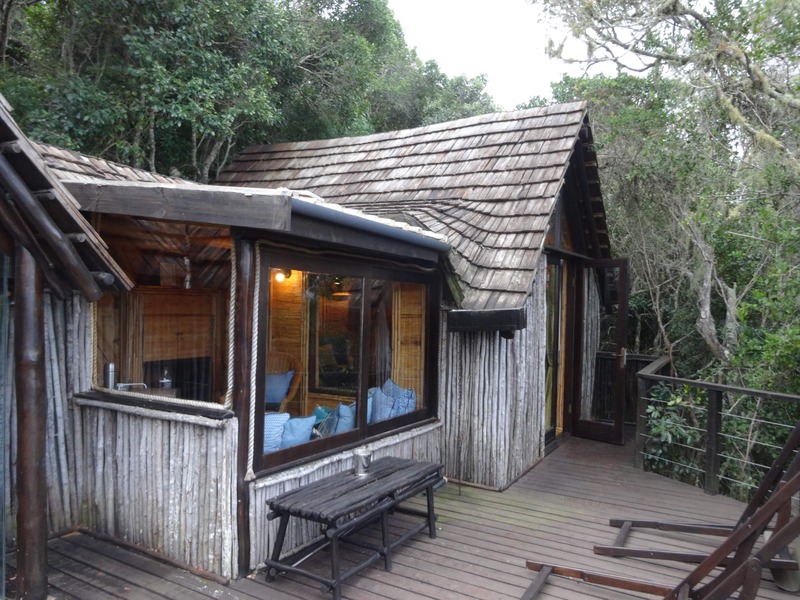 I stayed at one which was in Knysna on my way back from Kariega and it was absolutely divine. 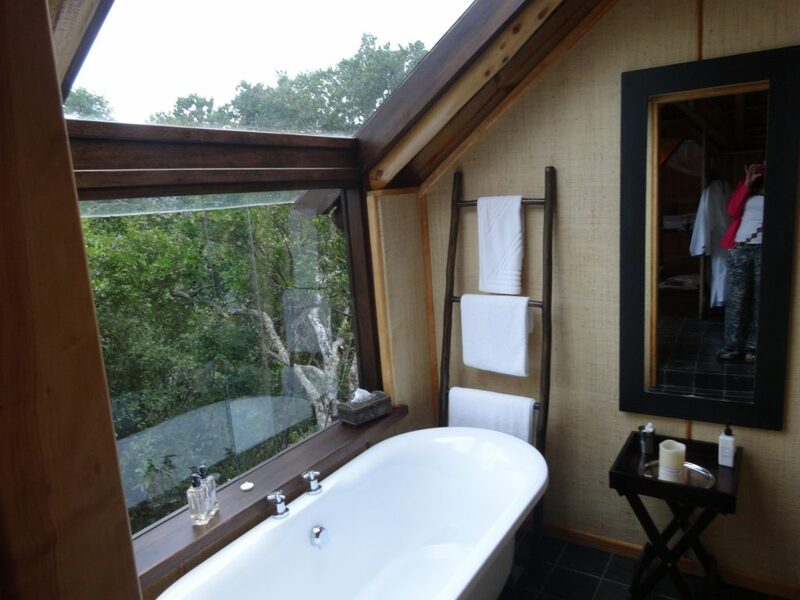 The wooden hut, with lotsa candles, the four post bed, the glass shower overlooking the sea and the best part… a hot tub bath out on the wooden balcony with complete privacy. An evening here in the tub with a glass of wine overlooking the sun-setting over the sea is all you need to experience before you die! 5. Ostrich Ride: Oudtshoorn, is the Ostrich capital of the world and just a lil detour off the Garden Route. You can adjust it in while driving back. Yes, just as the name suggests; this is where they have lotsa ostriches, they educate you about them and let you feed them but the funnest part is… you can ride them. YESSS! Well if you are below 55Kg I think! I was! So I rode an ostrich and that one minute was absolutely insane and the nicest Adrenalin Rush I have ever experienced. I mean where else in the world can you ride an Ostrich.. you gottttta do it! 6. Shark Diving: I’ve constantly said this in my interviews; while all my accidents made my body vulnerable and there are a few things I can’t do physically; like skiing, rock climbing, running etc. ; travelling has made me focus on the things I can do and a want to do them desperately. 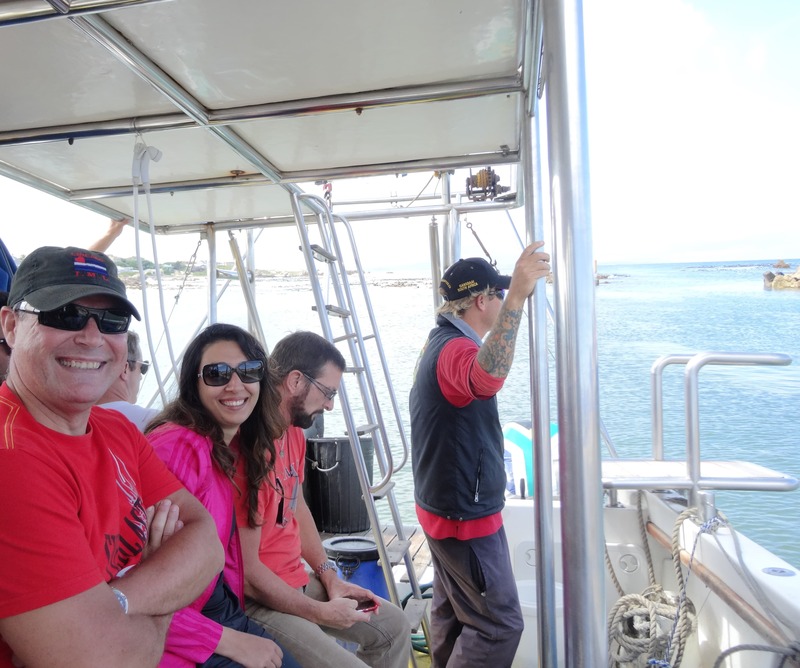 So when it came to a choice between whale watching or shark diving (shortage of time and money) I chose the later. The concept is that they put you in wet suits, take you to a shark populated area, put you in a cage and you go under-water to see sharks. Simple and safe enough (I’m totally kidding!). Once you get to the site from where they take you to sea; you start with a training. My trainer thought he was funny.. Haha! NOT! While he gave detailed instructions on how we should at all times keep our hands and feet securely inside the cage, he kept making references to Jaws.. the movie! And thought it was funny to fill our heads with images of shark teeth devouring human body parts and all that blood in the water or telling us how safe the cage was which was made in China. Oh! And that we shouldn’t wet ourselves if we are scared cause the pee will stay inside the suit on us. While everyone smiled nervously, I yelled out loud. “It’s not funny you know! You are not being encouraging to all of us who are about to go infront of sharks man! I’m signing out!” Maybe I wasn’t the only chicken, but I was the loudest for sure. Most came around after and agreed with me and some pulled my leg.. but they couldn’t drag their joke! We soon were on the speed boat towards the Shark Zone. The day had become cloudy and the sea murky and choppy. All the fake brave-hearts were now hurling around the boat with sea sickness. I was too but they weren’t laughing at me anymore (HAH!) So a few vomits later, and some consolidation of my disorientation, I realized we had stopped. That meant, all the build up and anxiety and this was it! The moment of truth. I obviously opted to go last. The whole thing was a blur for a while then. All I saw was, the crew throwing raw bloody chunks of meat into the sea to draw all the sharks closer to the boat (WTF a suicide mission!!! Was I crazy.. Why was I doing this!!??) People screaming for various reasons. Our guide screaming Go Go Go! And the sight of the satanic black fins all around me. They say fear is generated through our hearing, so if you close your ears in a scary movie, you won’t be so scared. They are WRONG! I didn’t need no deathly music and I was Shi##ing BRICKS! When my turn came, I plain backed out! Of all the ways of dying I had imagined for myself, this was never gonna be the one I chose. My guide yelled at me, “You can’t back out after coming this far!” and almost picked me up and put me in the cage. So here I was, in a cage, in the South Atlantic Ocean, in my attempt to see a shark which is against all human instincts. My hands and feet tried to look for the safety bars placed inside the cage to latch onto, and just then my guide screamed, “Go Go Go”. You see, the crew would throw bait out and when any of them saw a shark approaching the cage, the guide would scream Go to all of us in the cage to dunk our heads under-water so we could now see the shark in its habitat, doing what it does. 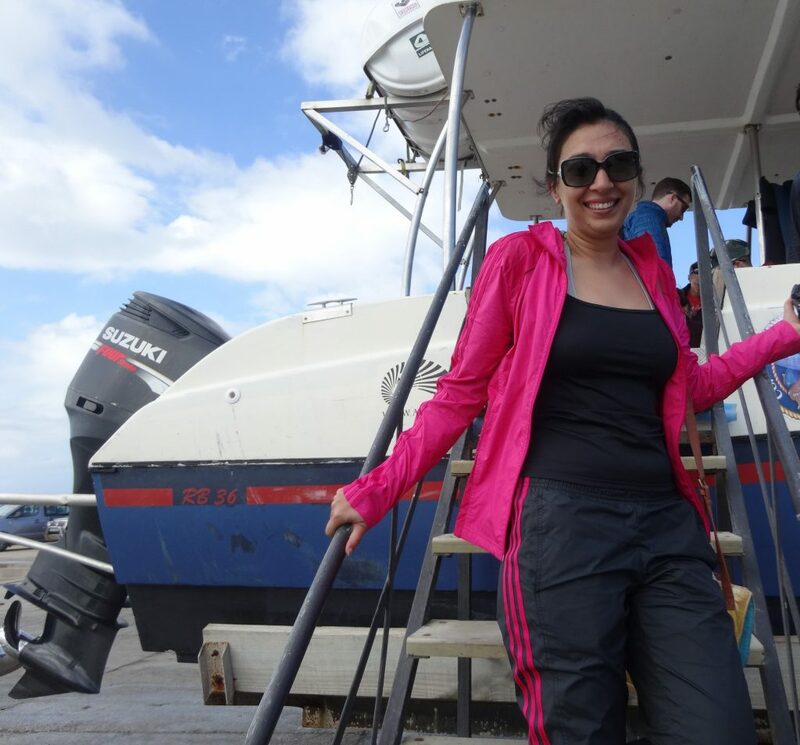 So when my guide screamed, “Go Go Go!” I pushed myself down in the water, grabbing onto the safe handrail. I had thought I’ll see the shark, but, ummmm… aaaaaaa… I saw nothing! Ok! No-one prepares you for exactly how cold the friggin water is! 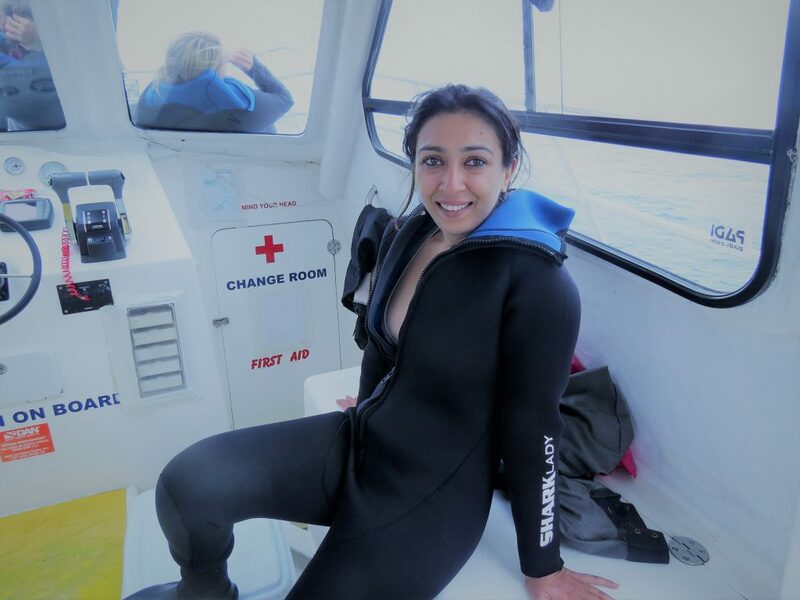 And no you can’t feel the coldness through the wet suit, not until the water hits your entire face and totally breaks all senses and orientations. While everyone came up with various reactions, I had just come up saying “Cold cold cold” We got another shot cause shortly, another shark was approaching us. He screamed again “Go Go Go”, I sank in, this time totally composed and THERE IT WAS! The devil of the sea! She was swimming right at us and grabbed the chunk of meat right infront of us and then took the sharpest right turn and swam away.. and all this happened in barely 2 seconds I think! I till date don’t know how I felt, or can’t put a finger on it. I didn’t scream! I had just seen something so powerful. The perfect creation of nature as a killer! And yet found it looking almost majestic and precise. I was awestruck! And will always be! My entire experience in South Africa, Capetown, had let me see nature in all her glory, wild and untamed and suddenly the meaning of these words had changed for me. “Wild” did not mean uncontrollable and loud (how we use the word in our references), it meant pure to me. “Untamed” didn’t mean unacceptable or unwanted behavior, it meant not converged to lose its own basic nature. 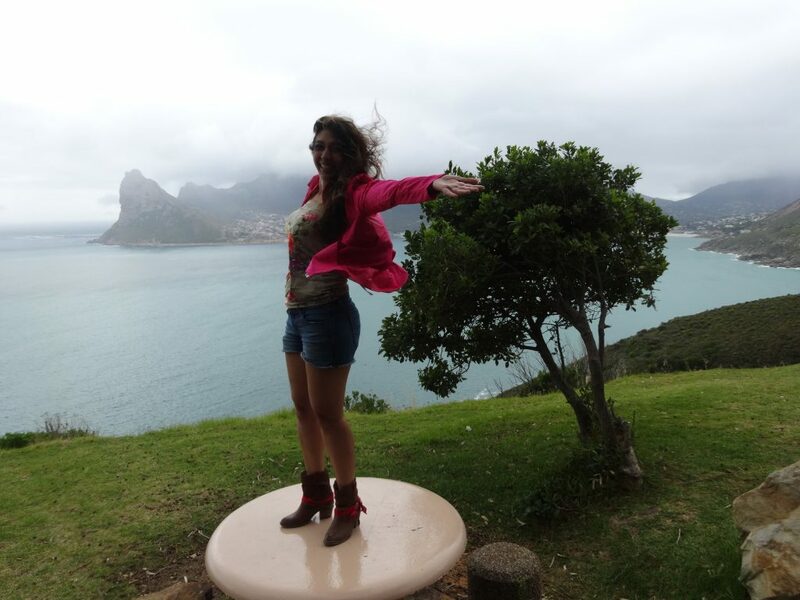 Cause here in South Africa, I saw the Wild and Untamed. They were not aggressive towards me just cause they didn’t know me or I was from outside their territory. They were not greedy and didn’t hunt more than they could eat just to amass wealth or show power. People call people animals when they behave unruly… maybe we got it wrong… maybe it’s time we learnt something from them and respect nature. Learn to co-exist with respect! And now I’ll take it as the best complement if someone called me an Animal- Wild and Untamed! You are such a brilliant story teller! By the way you write, I can see it all and feel the emotions! Love to read your writings!! you are so encouraging… thank u so much! Beautifully recited, felt as if I did the trip myself! Your blogs are so encouraging, feels as if at this very moment one should pack and RELIVE what you wrote! Impeccable! Thank you so much for the encouraging words Raghav! Love love love how you describe your journey in my beloved country. It truely is a magical experience. Yes we have our challenges, but the way you shared your journey is incredible. Thank you for making South Africa and me proud! I have such a connection with South Africa.. I know I will go there again! Wow, that was a fantastic read. Felt Capetown come alive in front of my eyes!